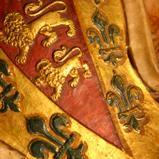 Original polychroming on the C17 monument to Edward Seymour. 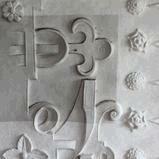 C17 plasterwork at St Mary's, East Knoyle, detail during cleaning. 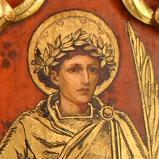 Detail from the C19 reredos in Holy Trinity Church, Dorchester. 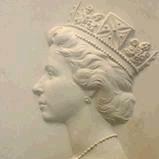 Bas-relief plaster cast, Queen Elizabeth II, by Arnold Machin. 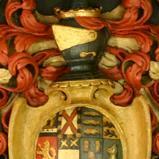 C17 Achievement of Arms, Church House, St James' Priory, Bristol. 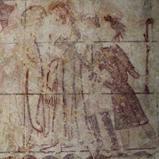 Passion of Christ, St Andrew's Church, Gussage St Andrew. 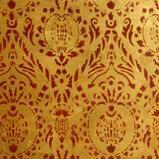 Reconstructed decoration in the Apse, St Barnabas' Church, Oxford. 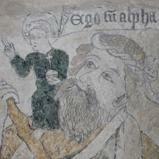 St Christopher carrying the Christ Child, wall painting circa 1470. 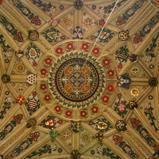 Polychromed decoration on tower vaulting, Kempsford.